The Trango Lotus 9.9 climbing rope is an excellent rope for top roping, sport leading, or trad leading. It’s light, handles well, durable and FUCHSIA! At first I thought the color was a negative but I’ve received so many compliments from random people at the crag that I’ve changed my mind. 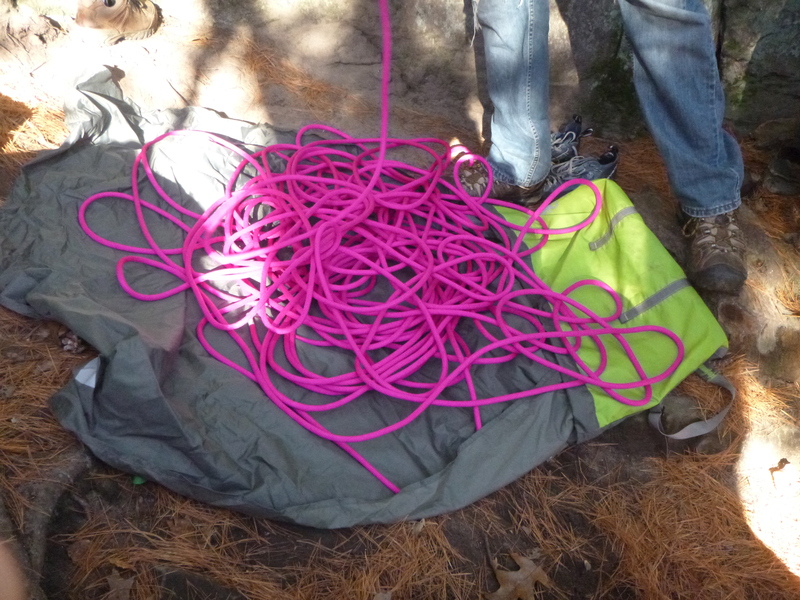 It’s also nice to be able to say “my rope is the pink one” and know that everyone will know exactly which rope I mean. 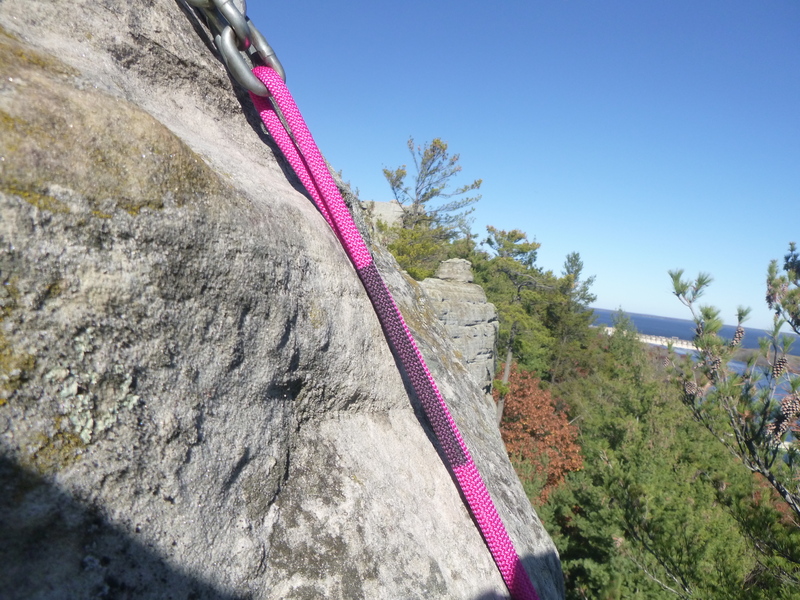 The Trango Lotus is a dynamic climbing rope that is 9.9mm thick. 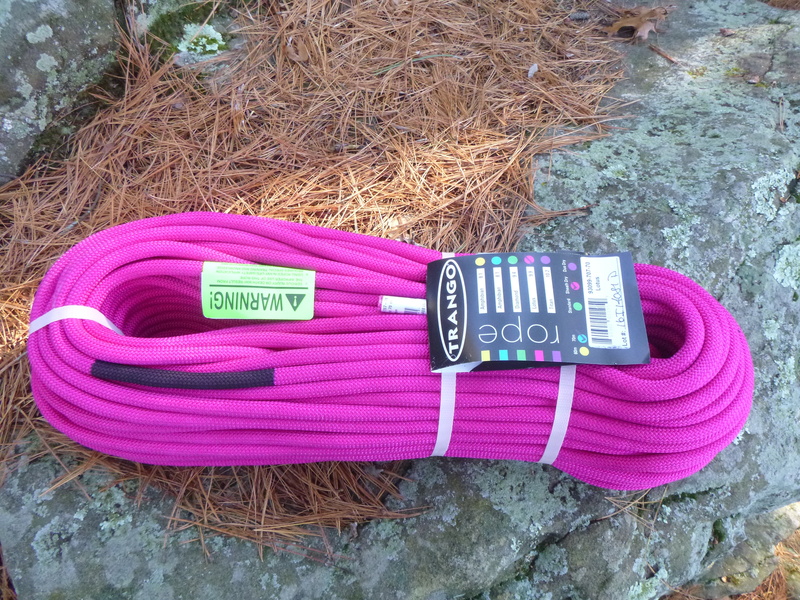 This is on the skinny side but is still a workhorse rope that can be used for almost any type of climbing. The Lotus is available in both 60 meter and 70 meter lengths, with the 70 meter costing about $30 more. If you need a fatter rope Trango also makes the Titan at 10.2mm and if you need a skinnier rope they make the Diamond at 9.4mm. The Lotus works well with a GriGri2 or with an ATC. It has a great “hand” and is easy to tie and untie knots with. The Lotus is durable and reliable. I’ve been using mine for a few months for top roping and lead climbing with no noticeable wear. It’s seen both abrasive sandstone and sharp quartzite with no problems. The Lotus comes with a middle mark already in place. The sheath is dry treated to help to prevent the rope from becoming saturated in damp conditions. It’s also coiled in a way that prevents it from kinking when you first uncoil it. The Lotus is rated for an impact force of 7.9kN and is rate for 7 UIAA falls. It has elongation of 9.5% and extension of 34%. It’s also just 62.6 grams per meter. I like the Lotus a lot. I’ve climbed with it many times and never been disappointed. If you need a 60 or 70 meter rope in 9.9mm it’s an excellent choice. I’ll update this review with more information about the rope’s long-term durability once it’s been in use for a while. If you want to pick one up I recommend Amazon for the lowest price.